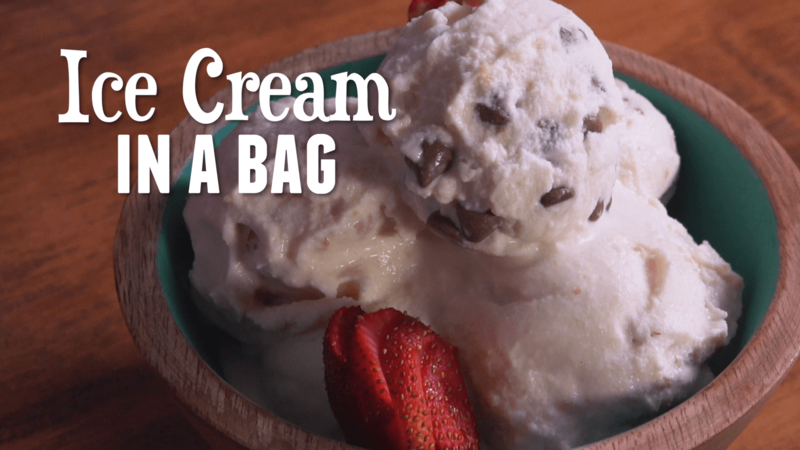 Easy Homemade Ice Cream In A Bag | Winners Drink Milk! Fill gallon size baggie half full with ice. Generously pour rock salt over ice. Pour half & half, sugar, vanilla extract, and mix-ins in the quart sized baggie. Place quart sized baggie inside gallon sized baggie and ensure both are sealed completely. Shake for approximately 5-7 minutes, or until ice cream becomes firm. Scoop ice cream into your favorite dish or cone and enjoy! If you have self-control and have any leftover, please place in freezer!